Secret to entertaining? Keeping your cool. When it comes to holiday dinner parties, you’ll want enjoy yourself along with your guests. Don’t let a spill spoil your evening. 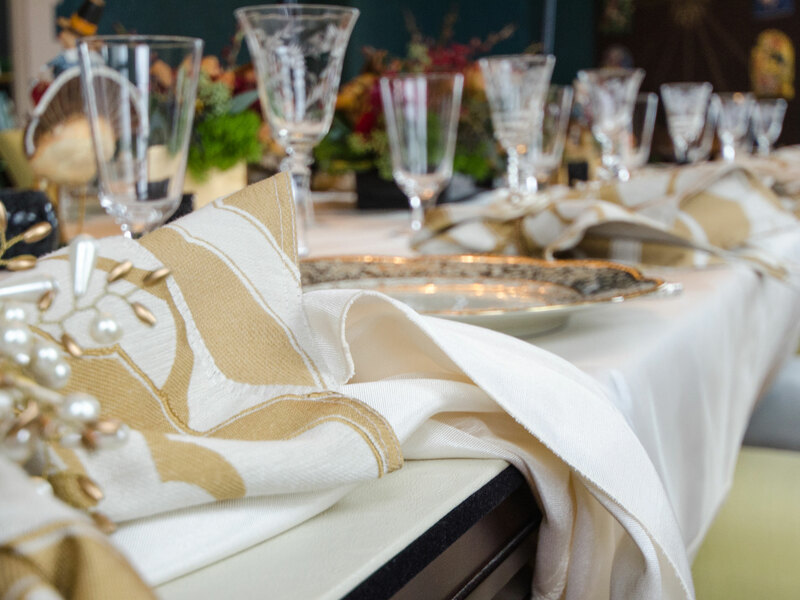 With table pads under the tablecloth, your gorgeous table will stay safe from spills, scratches and heat stains. The Thanksgiving countdown is underway. We are all working hard here at Superior Table Pad to get your Thanksgiving orders ready to go. This is one of the busiest weeks of the year for us, but we love the idea that our product will be on so many tables across America on Thanksgiving Day! We know that many of you started your holiday baking this weekend and got out the holiday serving pieces. 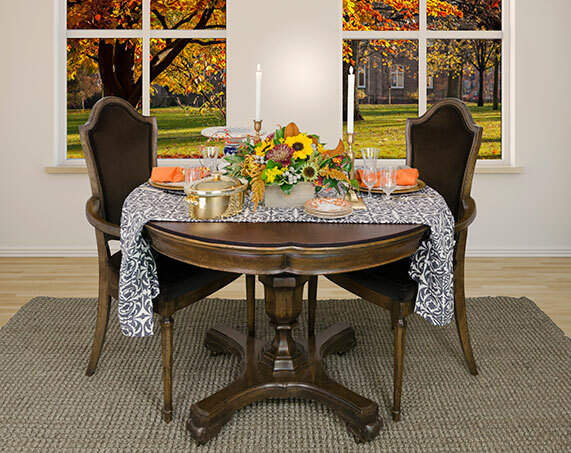 In many households it’s also time to put extra wooden leaves into the table and get out the table pads. Thanksgiving preparations and traditions are all part of the holiday fun – looking forward to having everyone together soon! Fall table decorations are everywhere: Farmer’s markets and supermarkets are full of fall’s bounty right now. 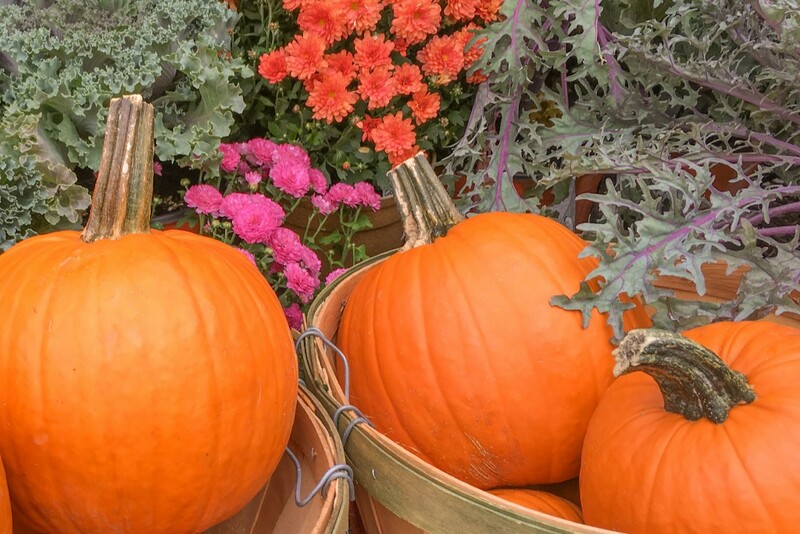 I love seeing the baskets of pretty, little pie pumpkins and crates of larger pumpkins just waiting to become outdoor jack o’ lanterns. There are gourds of all shapes and sizes and colorful dried corn, not to mention mouth-watering apples. Any of these will look terrific on the table at home. Another great idea for fall table decorations are dried flowers. These are so easy to display and last all season. I like to put my table pads on the table along with a brightly colored runner. That way I can display this week’s fabulous fruit and flowers without damage to the table surface. 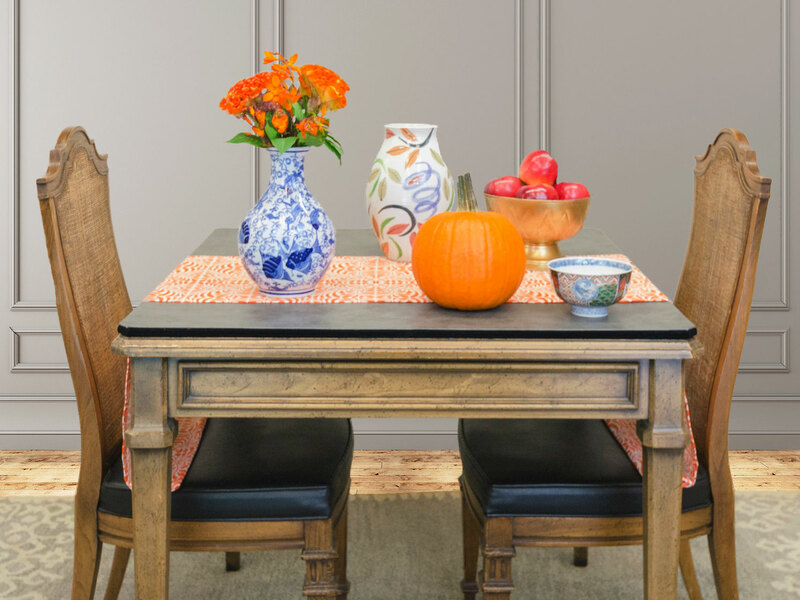 Keep these same fruits and flowers out for simple, yet elegant seasonal centerpieces when you set your table for guests.